Alaska's cannabis tax revenue continued on an upward trajectory in June, bringing in the highest amount of monthly taxes paid to the state since stores opened nearly two years ago, a tax division official said Wednesday. 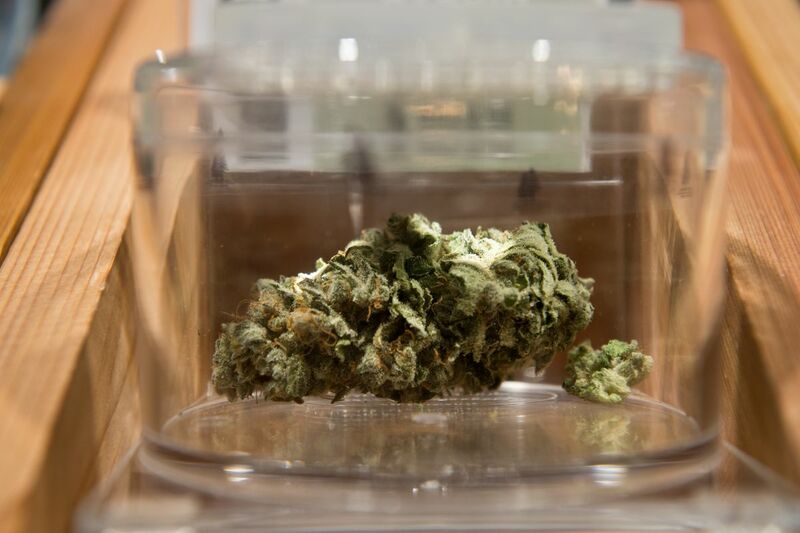 In June, $1.26 million in taxes was collected from 100 marijuana growers, according to Kelly Mazzei, excise group supervisor with the Alaska Department of Revenue's Tax Division. That's about $77,000 more than what the state collected in May. In June, growers sold 1,250 pounds of marijuana, and 1,074 pounds of trim (the leaves and stem of the cannabis plant). Twenty-one of the growers were in Fairbanks; 18 were in Anchorage; and 12 were in Wasilla. The rest were scattered across Alaska — mainly in Southcentral Alaska, with some in Southeast, one in North Pole and one in Nome. For fiscal year 2019 — which began June 30 — the state forecast is $18 million in marijuana taxes. Since marijuana sales began, nearly $10 million in cash has been processed by the tax division, Mazzei said. In other Alaska marijuana news, Anchorage pot shop Cannabaska closed its doors after its owner's marijuana handler permit was revoked by the state. Inspectors had found scraps of marijuana on the ground near one of the shop's dumpsters; regulators expressed concerns about diverting marijuana to illegal markets. Cannabaska wasn't the only business to face regulatory action. A Wasilla cannabis festival is being investigated for allowing marijuana consumption. And Anchorage commercial grow Danish Gardens went before an Anchorage Assembly committee last week to discuss marijuana odor complaints against the business. Meanwhile in Bethel, the city's first potential marijuana retailer is moving forward. An Anchorage pot shop owner (who also sits on the Marijuana Control Board) signed a lease in the Southwest Alaska hub. What cannabis coverage would you like to see? Email reporter Laurel Andrews.